Over 10,000 bristles: Scratch-free and 10-year lifespan. The rim brush professionals use: Thorough, gentle and quick. With highly effective, paintbrush-shaped brush head. Developed by professional vehicle suppliers. Made in Germany. It’s hardly possible to clean your car’s rims more easily, quickly or thoroughly. The paintbrush-shaped brush head of this ingenious rim brush effortlessly reaches even the hard to reach corners and little recesses, between and even behind the spokes. And the best thing: There’s no strenuous scrubbing by hand. Just attach the brush handle to your battery-operated drill, apply a bit of standard cleaning agent and get going. 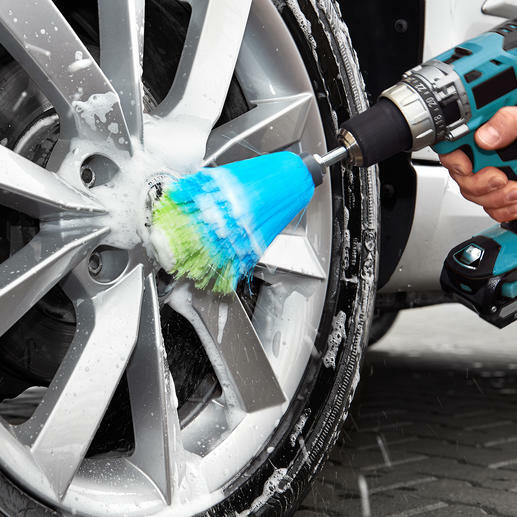 With 200-400 revolutions per minute, the rotating brush head removes even stubborn dirt, brake dust, salt... thoroughly, but gently. 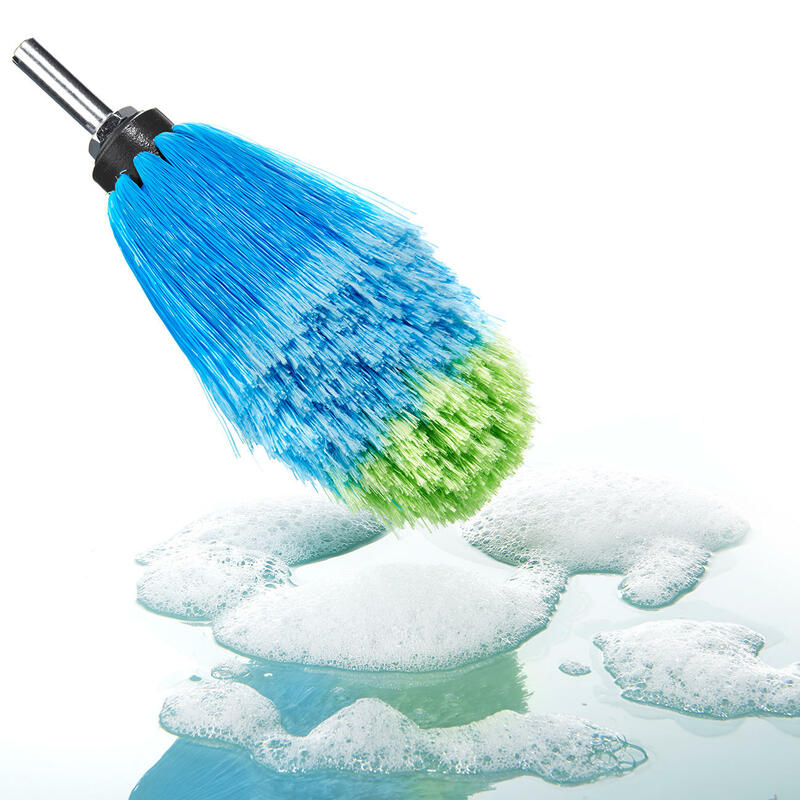 Not to be compared with the bristles of so many car washes: The ends of this brush are spliced. This removes your grim in the best way possible and does not leave scratches. Even on non-painted surfaces. Measures 19 x 5cm (L x diameter; 7.5″ x 2″), weighs 166g (5.9 oz). 10mm diameter metal handle works with all standard drill chucks.